A lot of professional business people tell me that that they would like to get out and network more, but they never seem to find the time. When I hear that I thank the universe that I learned my lessons about networking early in my career. 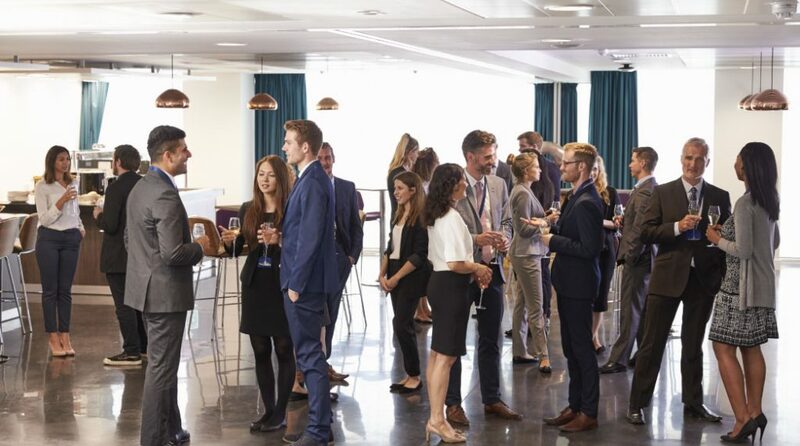 Why is professional networking important? We all know that success in life is 80% dependent on who we know and only 20% on what we know. That is especially true as we progress in a leadership oriented career. It never ceases to amaze me when an intelligent professional confesses to me that they are 100% focused on the job and have no time to network. In my opinion that is a big mistake and could prove very costly. When we take the time to connect with other people we get access to at least three invaluable resources: their life-knowledge, job-related-information and new connections. When you truly connect with another person, you just don’t know where the conversation might go. Based on my experience, you will find many areas of life where you will be able to exchange valuable information. A good example is when recently through one of my client connections, completely unexpectedly, I learnt about a local gourmet wine store which sells monthly “value cases” of wines from different parts of the world. This purchase of these “value cases” will continue to provide immense pleasure for many years. A second benefit is key information about companies that are hiring and firing in the local economy. Most jobs are filled without really being advertised. Your network can give you early access to job opportunities that are not available to most. Applying for higher level jobs found on web sites and through publications is a waste of time. Can you really afford to not build a strong network? A third reason is access to more quality people. As you get to know the people in your network better you can make quality connections for them and they will do the same for you. This a self-perpetuating virtuous cycle. The better you are at this, the better you get and the higher quality connections you will make. And in the long run, these will be worth more to you and your network. How should one start the process of professional networking? There are many wrong ways and a few right ways to do this. The worst possible time to start networking is when you are out of a job and need one. Meeting new people will be much harder if they can sense that you have an urgent need and are probably focused on that like a leech. Imagine a networking meeting where everyone is looking to get something and no one is prepared to give anything. Could anyone walk away satisfied from such a meeting? It is much better to start from a position of strength when you don’t have a strong need. Most professionals don’t realize that they have a lot of knowledge and information to share that could be very valuable to others. It is best to start with a mental checklist of areas of expertise which could literally be in any area of life or career. As you do this over time, watch your reputation and brand grow. Ultimately when you need something, ask and you will receive it much more easily. If you are new to this, please see here for more detailed ideas of how to handle a networking meeting. In summary, if you want to be successful in life, get out there and network. Manoj Garg is the founder and managing partner of Virtual Information Executives. He brings over 25 years of senior executive leadership skills and technology management experience with domestic and international operations to VIE’s clients. Manoj earned his MBA from the University of Rochester specializing in Finance and Entrepreneurship, a masters degree in Computer Science from University of Pittsburgh and a B. Tech. in Electrical Engineering from the Indian Institute of Technology, Bombay, India. Manoj is an active member of the TIE Oregon, a non-profit organization whose mission is to provide support activities and mentoring to the entrepreneurial community to foster business growth and employment opportunities in Oregon.